New! Featuring our new SHOK™ Shock Absorber and Lightweight Aluminum Snap Hooks. Y-SHOK Lanyard. One snap hook remains secure, while the other is moved to the next step. Each side is an arm’s-reach in length. 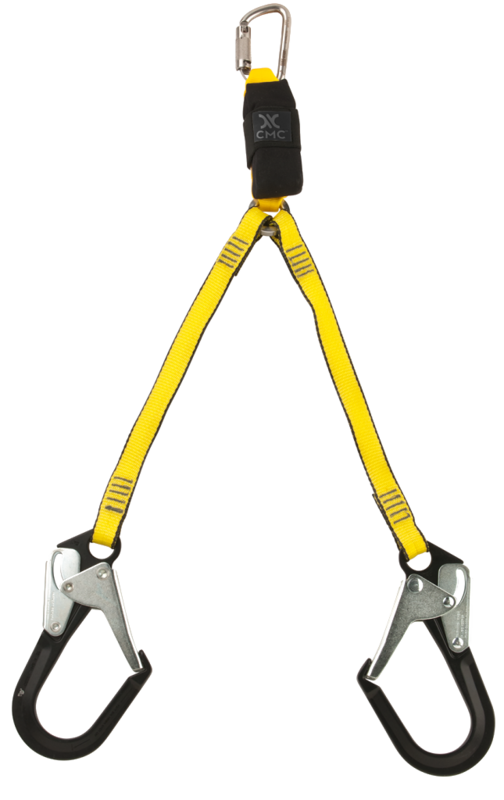 Lightweight, aluminum ANSI snap hooks are double acting, but can be opened with one hand. Integrated SHOK™ shock absorber minimizes impact forces during a fall. 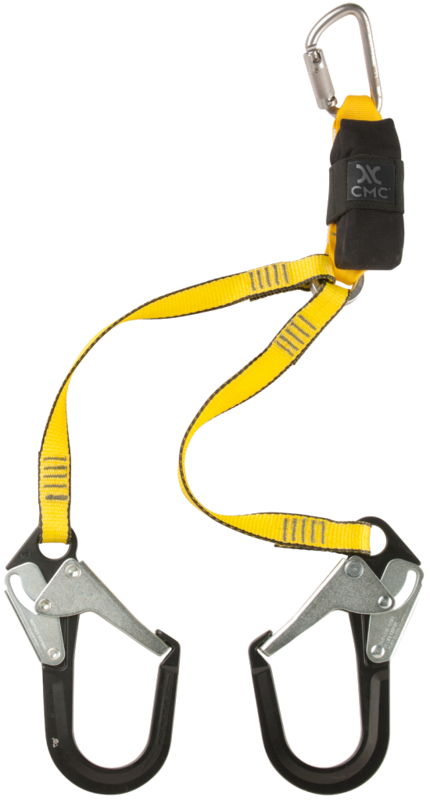 NFPA/ANSI-Certified Stainless Steel Auto-Lock Carabiner (Item # 300011) is used as the waist connector for quick connection, corrosion resistance and maximum strength. Aluminum O-Ring (MBS 22.2 kN / 5,000 lbf) is used to connect the Y-straps. Tested, proven and trusted by Reed Thorne at Ropes That Rescue.